I got into New Amsterdam pretty late, but since I’ve discovered it I’m hooked, hence why I’m starting with episode 13 now that I’ve binge-watched to catch up! In case you haven’t watched it yet let me give you a brief overview before we get into the nuts and bolts of episode 13, I’ll try and keep spoilers to a minimum. New Amsterdam is based on the book Twelve Patients: Life and Death at Bellevue Hospital by Eric Manheimer and follows the attempts of Dr Max Goodwin (Ryan Eggold) as he attempts to transform the New Amsterdam hospital which is one of the US’ oldest public hospitals. His radical new approach to running things turns the hospital and its people upside down as he tries to keep patients and staff happy and motivated. I can see some elements of House in the character though Ryan Eggold’s character is certainly more sympathetic than Hugh Laurie’s character. There is a strong supporting cast and the show explores the deep running emotions of each character as the season progresses. If you haven’t been watching I suggest you don’t read on as we’re going to explore what happened in episode 13. 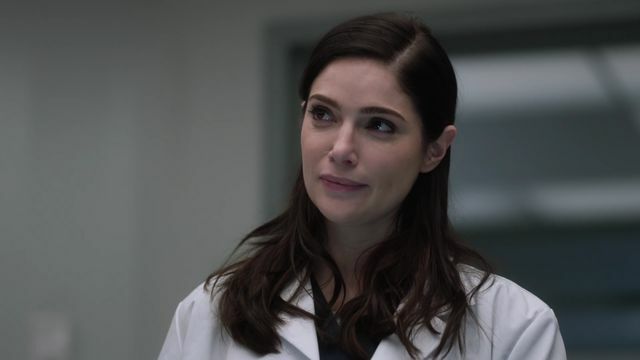 Episode 13 (The Blues) centres around Dr Bloom (Janet Montgomery) and her Adderall addiction. Concerns have been growing from Bloom’s co-workers in the previous episode and now it comes to a head. We learn a lot more about her back story as she bares her soul to Dr Iggy Frome (Tyler Labine). I’ve found Bloom to be one of the more interesting characters so far and to get an insight into her tragic past felt pretty powerful. As a light-hearted balance, we also get to see Goodwin continue to turn New Amsterdam on its head as he tries to find new jobs for people in obsolete positions. There is also a development in the difficult relationship between Dr Vijay Kapoor (Anupam Kher) and his son. Finally, we have a will she, won’t she moment with Dr Helen Sharpe (Freema Agyeman) as she considers if she’s ready to take the plunge with her new love interest. Each show of New Amsterdam manages to pack a lot into it and there is always a good balance between the heavy and lighthearted side of things. This episode was especially interesting as we got to learn a bit more about some of the more private characters.